*It’s do or die for the Atlanta Falcons and the Seattle Seahawks this Saturday, and fans of the Dirty Birds are looking for any edge in their divisional playoff showdown – including having the baby daddy of the wife of Seattle’s quarterback sing the national anthem. A petition, created by a Falcons supporter at thepetitionsite.com, seeks to secure rapper Future for the Star Spangled Banner at the Georgia Dome, where Seahawks QB Russell Wilson will lead his team into battle. 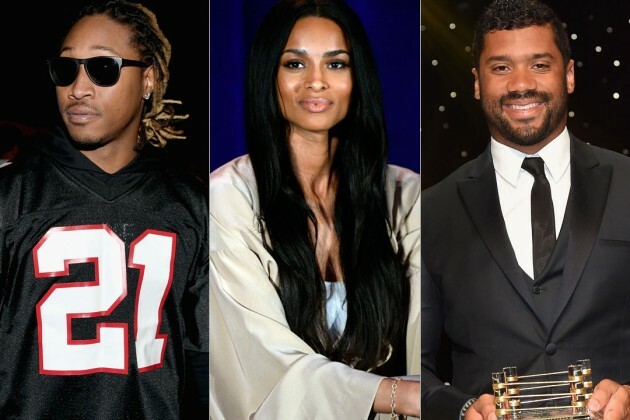 The petitioner believes Future’s past engagement with Wilson’s wife Ciara will mess with the quarterback’s head, should he be present at the game in any capacity. The petition has a goal of 3000 signatures. Just over 2300 had signed at press time. This article is petty. Ciara and Russell are married and expanding their family. Future, fans needs to lay this to rest. Get over it!! !